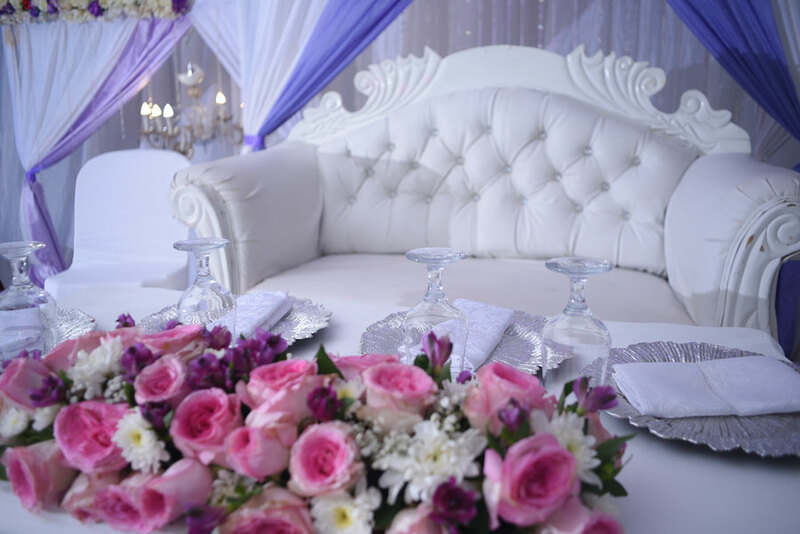 Identifying a wedding reception venue can be cumbersome as the would-be groom, bride and people around them have different ideas of what they want to have at the reception, where and how it would be like. While choosing a reception venue, one might look at things like the number of guests, proximity, convenience, appearance, the cost and what the venue owners have to offer. 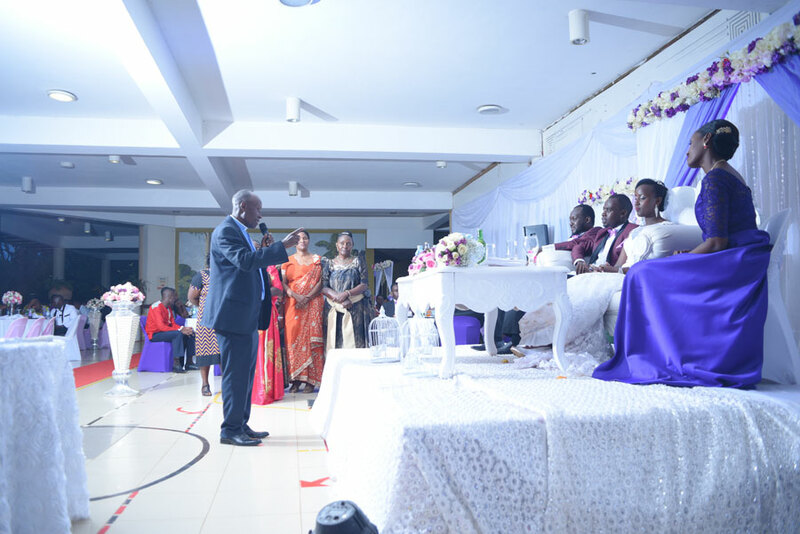 Timothy Alfred and Aidah Wandabwa exchanged their vows last year on May 12, 2018 at the Church of Resurrection in Bugolobi. Thereafter, they hosted their guests at the Garden City food court. This is a place or venue that one would hardly think of, given its relatively small size and busy nature. Despite being accessible, it is a very busy place with so many businesses around it. It is publicly accessible and anyone can easily walk in to relax or grab a snack. It is close to shopping centers. So why did the Wanambwas decide to pick this spot and how did they to deal with all these challenges? During a chat My Wedding had with Wandabwa, he disclosed that the food court was convenient because it has ample parking space and a very nice view of the golf course. The small space which was also just enough for them to have an intimate reception with their 250 guests. 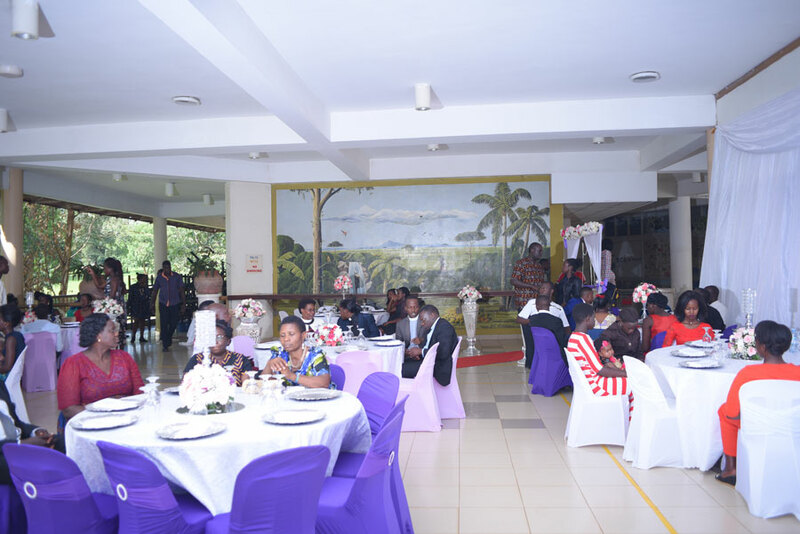 “Leaving alone the convenience and good parking space, the place also had good lighting, and I realised it had enough rest rooms which would accommodate our guests, especially those that had come from upcountry,” explains Wandabwa. Wandabwa says that he got to know about Garden City food court after attending a small function that was organised there by Power FM. He took a critical look and realised things the pros of using a place like that including convenience, the aspect of good lighting, ample parking and security without extra pay. The groom-to-be then proceeded to inquire from friends who directed him to the management. “I was told about the possibility of having my wedding reception at an affordable cost. I paid Shs1.3m for it,” he explains. The beauty of the hall made the venue unique and lovely according to Wandabwa. It had an indoor feel that came with the hung art pieces on the side of some walls. The view of the golf course also provided the photographer a chance to capture good shots of nature. The decorative art pieces also made it a little easier for the decorator. 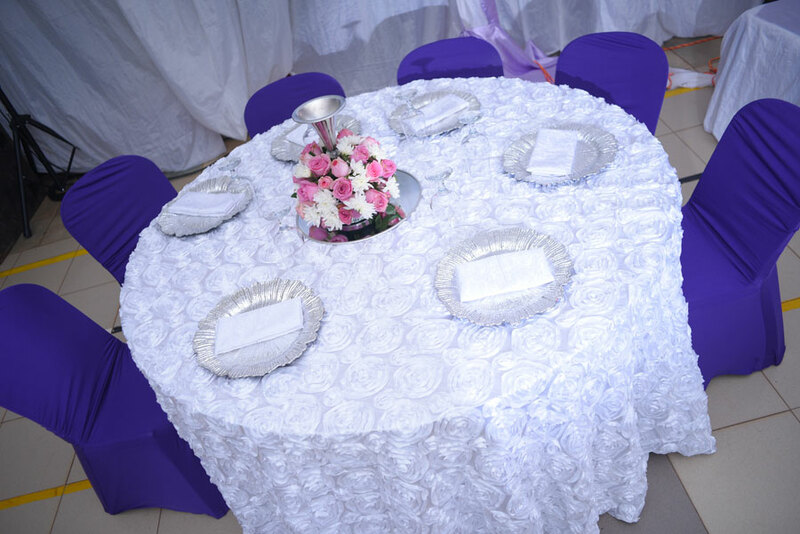 She only covered one side using the materials which had the couple’s theme colours, pink, purple and white. Because of the limited space inside, Wandabwa says that the food providers set up the serving tables outside the hall, just as you enter the court. The one where the entourage was served was inside in one of the corner sections within the hall. Being a publicly accessible place, you would expect someone to walk in anytime but Wandabwa says that people feared to come near. 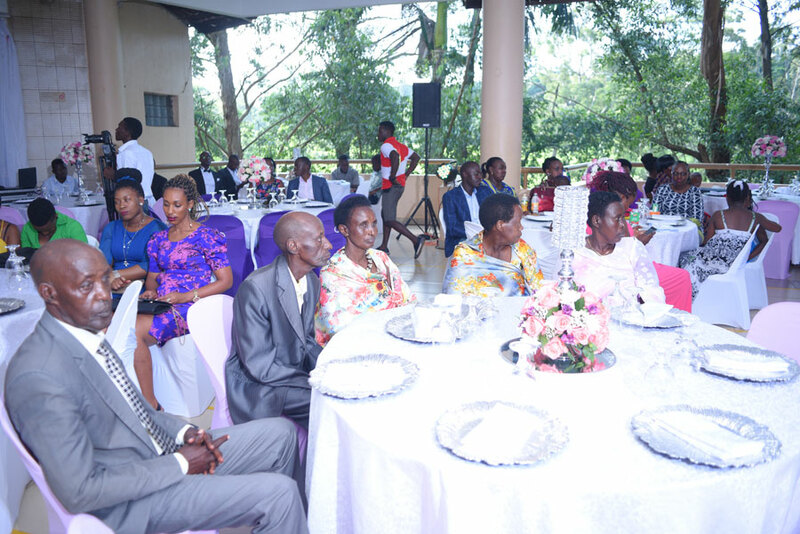 “It being a wedding looked closed off and private, so in as much as one or two came through, they could not go beyond the entrance,” clarifies Wanambwa. 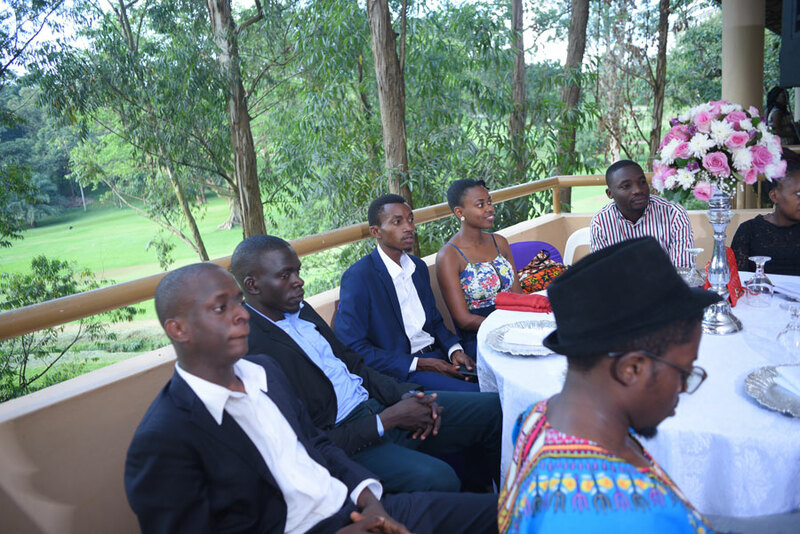 Wandabwa’s story shows us that any place can be used as reception venue provided it matches the qualities listed by the couple. If you are planning a wedding with a small number of guests, make sure to consider places around town that are not usually picked for receptions but which would do a good job.